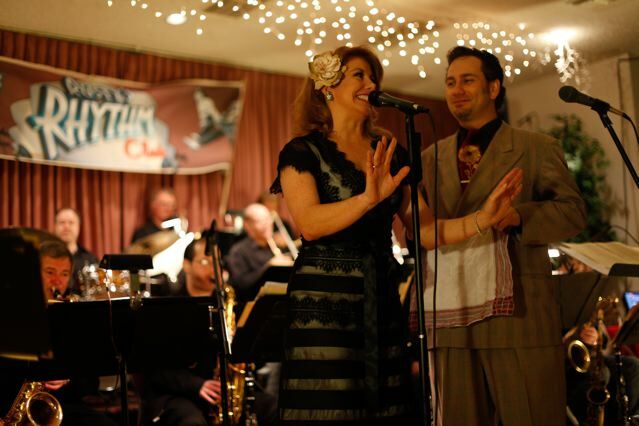 Dina Bennett & Mark Tortorici, song birds for the Ladd McIntosh Swing Orhestra at Rusty's Rhyth Club THIS Wednesday for our "Welcome Camp Hollywood" dance! ""We do not always dance because we are happy. 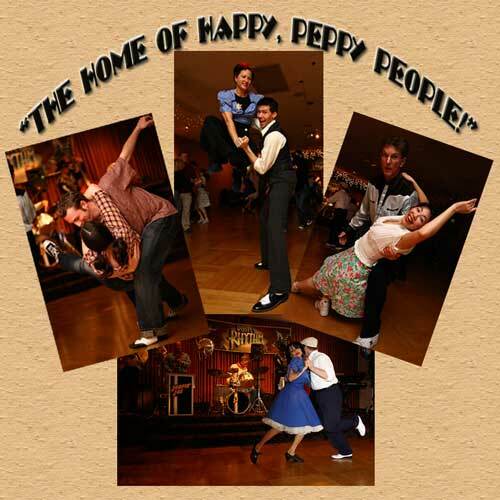 But we dance and cannot help but become happy""
Welcome Camp Hollywood at Rusty's with Ladd McIntosh! If you can't attend the whole thing, go to the evening dances! It's been over two years since our last "Bring A Buddy" Month. 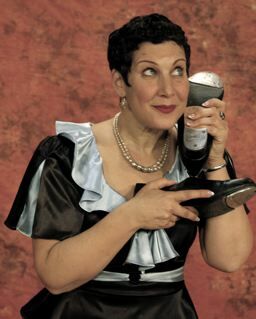 What way to bring a bit more fun into your friends and families lives than by personally escorting them to their first swing dance class? They'll love you for it! 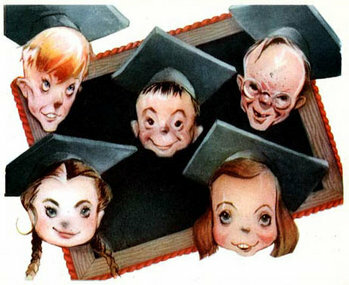 Think of it, you'll be bringing dance, music, friends, exercise, and joy into their lives. So start beating those drums, and let everyone know about our Bring A Buddy Month. 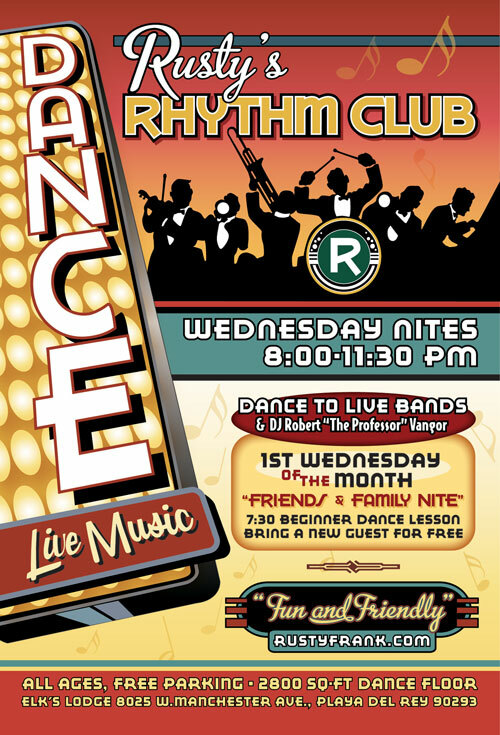 This Wednesday is that once a year special night! The night before Camp Hollywood begins, and the night the out of towners begin pouring in. 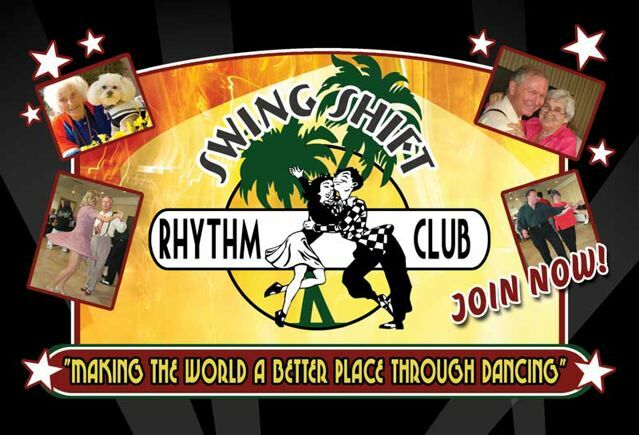 We're gonna welcome them all with one of the world's greatest swing orchestras ~ Ladd McIntosh! Every year, dancers come in from around the world, so we'll have a chance to welcome them with our West Side dancing feet! 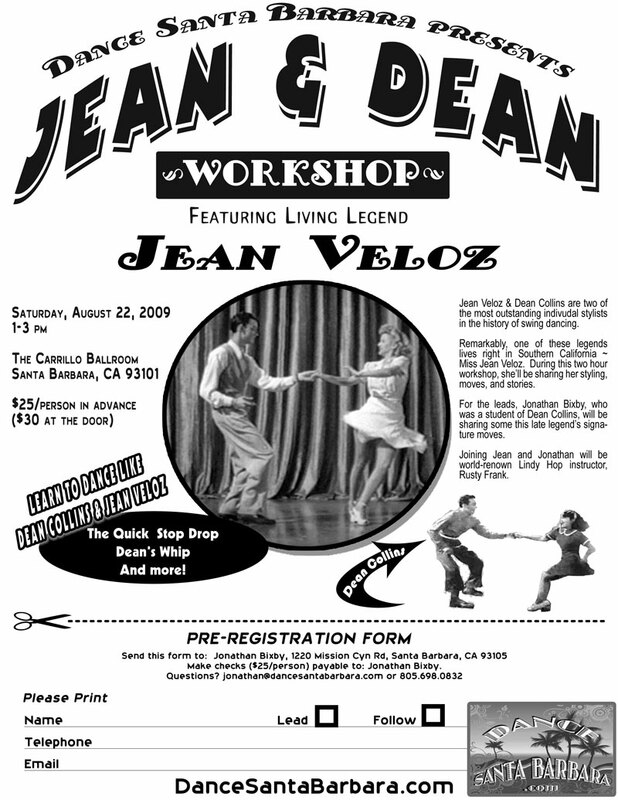 For you tap dancers (and wanna-be's) out there, I'm doing a one-off workshop through the City of El Segundo next month. If you are interested, contact the city, at 310 524 2700. REGISTER ONLINE AND GET THE DISCOUNT! 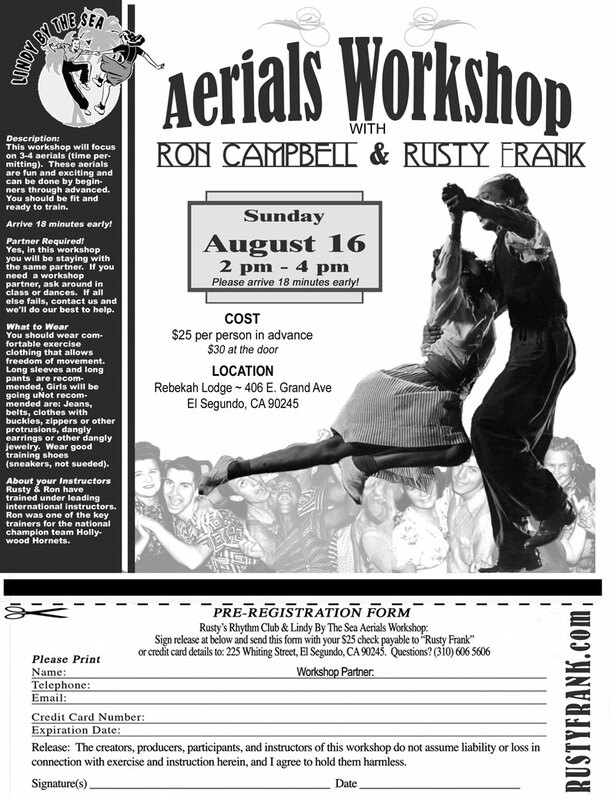 With the dancers clamoring for more, we just couldn't resist offering yet another Aerials Workshop! So mark your calendars right now, grab your partner, and in the air you go. We'll be warming up with a simple lift to build on timing (the foundation of all aerials) ~ "Side Cars." Our big aerial this go 'round will be the "Bocker" (aka "Knickerbocker"). For all the information and registration, click HERE. LOOKING FOR A PARTNER FOR THE WORKSHOP? Ask your fellow students, dancing friends, or email us and we'll see what we can do to find you one. Currently there is a guy looking for a partner. We're really looking forward to this workshop!!! Here's another clip with The Knickerbocker at 2:42. Early Erik & Sylvia! Now new winner got it... so try! 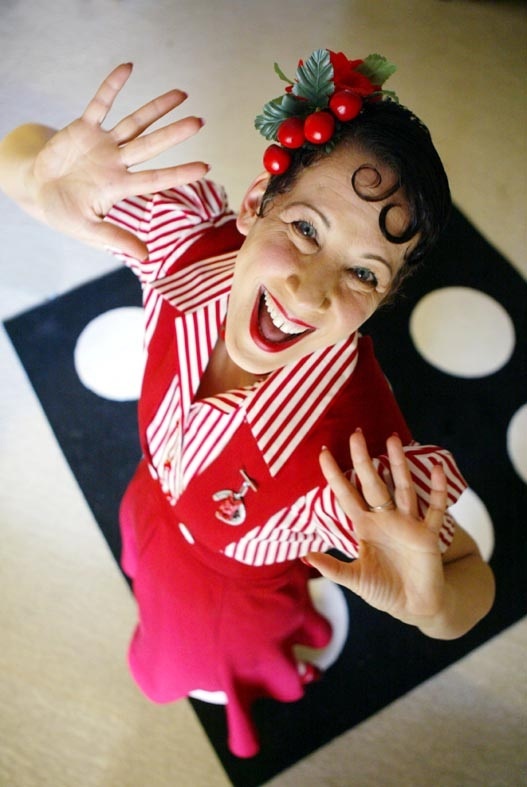 What was Billie Holidays' nickname and her birth name? We're back! 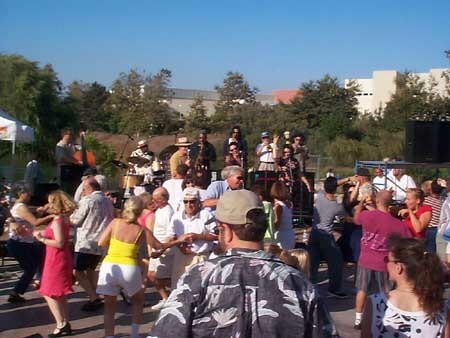 Swing Dancing at Polliwog Park to Flat Top Tom. It's been a few years since we've been out en masse for the Polliwog summer concert series. But we're back this year. 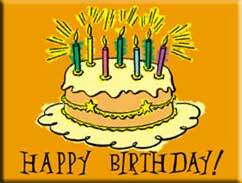 So mark it down in your calendar. 5 pm -7 pm. More information here. 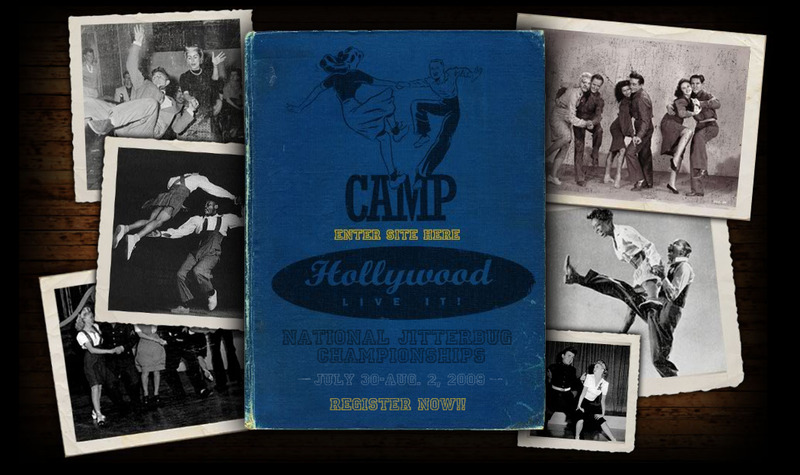 Camp Hollywood, arguably one of the greatest swing dance camps world-wide is THIS weekend, and right in our own back yard. 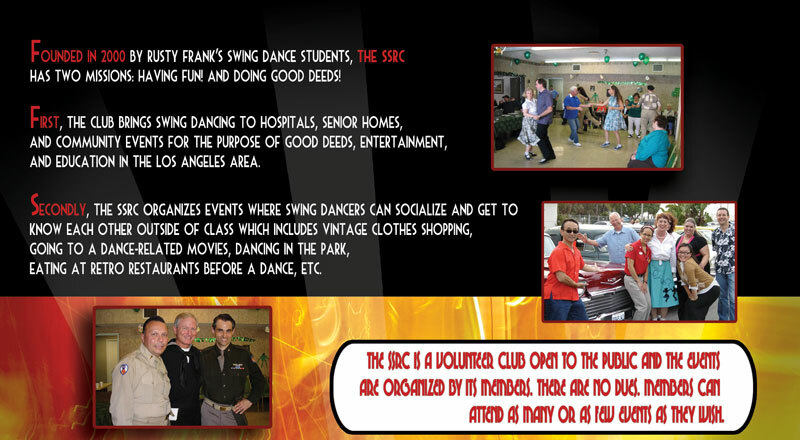 If you can't make it to the entire weekend, why not consider going to one or more of the dances, or check out the amazing swing dance shop there. You'll meet dancers from around the country and around the world. It's truly not to be missed.